If you’re searching for the phrase “Neon Signs”, “Custom Neon Signs“, “Neon Sign Repair” or “Commercial Neon Signs” in Phoenix, Scottsdale, Mesa, Tempe or anywhere else in the Valley, Arizona Commercial Signs can help! Arizona Commercial Signs proudly designs, fabricates, installs and repairs neon signs! If you are interested in receiving a free neon sign quote in Phoenix, call us at 480-921-9900. Arizona Commercial Signs designs and builds beautiful custom neon signs at competitive and affordable prices. We are the leader in the valley for custom neon business signs and we offer a multitude of neon sign services including; custom sign design, fabrication, and shipping to your U.S. or international destination. If you’re in the market for custom-made neon signs for your business, you have come to the right place. The best way to catch potential customers and clients who might just be passing by is using the the eye-catching power of neon’s versatile glass tubing and vibrant colors. Choosing neon for your preferred method of signage affords you the most flexibility for customizing your business’s signage. Of our wide variety of neon sign types for sale, you can choose between Pan-Channel letter (plastic-face individual letters for a wall or storefront), window neon (self-contained, portable sign displays), exposed wall or window neon and decorative neon accents. Our experienced team of highly skilled design professionals will take a look at your neon signage goals and present exciting new ideas and custom solutions with your specific needs in mind. We will develop a beautiful looking neon sign fit to your specifications. You give us the idea and we make the magic. Neon can be custom designed for any image style, and it is also often used to illuminate wall letters or interior store areas. Not only can we design your sign but we can also fabricate neon signs in our sign shop. We can fabricate nearly any type of commercial sign from single retail and monument signs to multi-location and national signage. Arizona Commercial Sign Services is recognized for our beautiful sign fabrication, on-time delivery, customer service, and a team of skilled sign fabrication experts that have a 360 degree, comprehensive approach to building signs. Our neon sign installation team and equipment can handle everything from the simplest interior neon signs, to the biggest and most complex exterior installations on neon signs that utilize cranes. Our crews serve all of Phoenix, Arizona to deliver and install your company’s neon sign(s) on time and in an efficient, professional manner. Are parts of your neon sign not lighting up anymore or even worse the sign is not working at all? 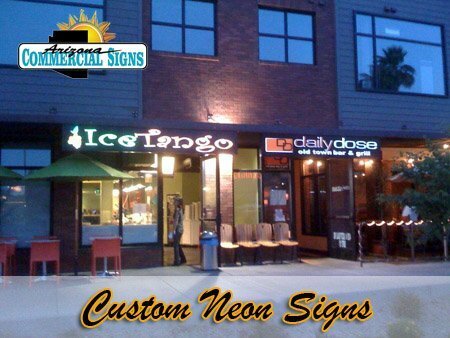 In Either case, Arizona Commercial Signs offer neon sign repair throughout the Phoenix Valley. Our sign repair experts will get your sign working again in a flash. We also perform regular sign maintenance to keep your sign lit as long as you need it to be. The first thing people are going to look at is your businesses sign, it is this visual that helps them to form an opinion about your business. So, if your sign should be broken, cracked, or just not working properly, the people miss out on giving your business that first good impression. We have the ability to diagnose problems with your sign and have it back up and working in a short period of time. As always, our new signs come with a guarantee, including our neon repairs. If you have a broken neon sign, we can help for we are capable of repairing any broken neon sign you could have. We are also capable of matching just about any color you could have, as we have a huge inventory of glass on hand. Simply bring your sign to us and we can test its components and give you a firm price on the repairs, and also an estimate of how long it will take. Arizona Commercial Signs keeps a full line of parts for those in need of replacements, these include the newest neon power supplies, electrode end caps, GTO high voltage cable, transformer boxes, glass housing, porcelain GTO wire supports, glass neon tube supports, Polycarbonate neon tube supports, and other parts that are hard to find. Out location is in Phoenix, Arizona. However, all broken neon signs Must Be Brought In to our shop to be repaired, as shipping broken neon signs will not be an option! Give us a call or you can simply email us should you have a broken neon sign that you would like to drop off to have repaired. We also repair broken neon beer signs too! Due to the complex nature of neon beer signs a lot of sign companies do not repair beer signs. Neon beer signs are being mass produced without any consideration that they will at some point need to be repaired. A lot of the time the glass used is very thin, and the colors used are sometimes very hard to come by. However, you’re in luck, for we not only have the experience needed, but we also have access to all the colors used. 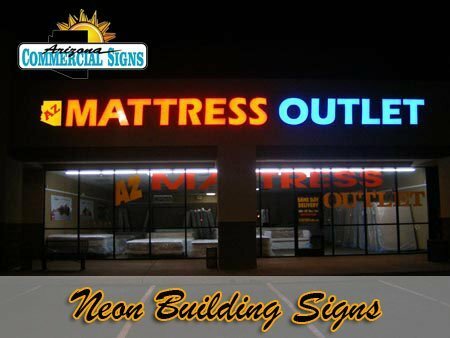 Arizona Commercial Signs is able to replace your neon signs, or if they should be beyond replacement, we can install a new one for you. What’s more, if you have a sign which does not fit the window where you are, we also have experience in making your sign fit the place you are wanting to put it. Your neon sign might not be working due to something as simple as a transformer being bad. We have the required equipment for testing your sign and finding the issue, at our shop or on site, which may save you both time and money. We carry all of the different types and sizes of transformers and always have them on hand. You can now save up to 66% on your energy consumption by using the viable replacements that have come out over the past several years, the new ‘electronic transformers’, it will save you energy if you switch up your old electromagnetic transformer. Out Of State Shipping: Wanting to use the experts at Arizona Commercial Signs but aren’t in the Arizona area? Our signs can be delivered out of out of state. We develop a sign you love, fabricate it to last, and carefully pack it to ship to your property. Signs delivered outside of the Phoenix Valley will need to be custom-installed on site by a reputable local neon sign installation firm. BEST SIGN EXPERIENCE I EVER HAD !!! This sign company represents perfectly the meaning of “CUSTOMER SERVICE” They went above and beyond to satisfy my every need for my sign. Price was very affordable and the sign looks FANTASTIC !!! I get compliments almost daily from my customers about my Sign! IF YOU ARE IN NEED OF A SIGN; I HIGHLY RECOMMEND THIS COMPANY ABOVE ALL OTHERS. Every aspect of the job was handled perfectly and in a timely manner. THIS COMPANY ROCKS ! I would definitely use this company again as well as recommend it to others!! I had never used them before, I looked them up online, I called and received great customer service right off hand. Their Salesman was very precise about the entire process and very helpful. They have great prices and I have always received prompt service whenever I had questions or needed repairs. Thanks! Group of Industry Veterans that deliver the best product for the least amount of cost. Custom signs done right. I had already received several bids for my store sign, when Arizona Commercial Signs was referred to me by a friend. I dealt with Gary, who was prompt, efficient and did my sign exactly as I expected. He communicated on time and responded to any questions I had. I now love driving up to my store, Laurie’s Bridal, and seeing my name in lights! Highly recommend! If you are interested in receiving a free neon sign quote in Phoenix or surrounding cities, call us at 480-921-9900. 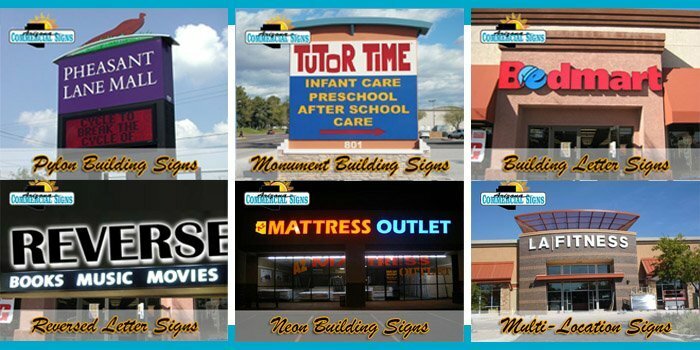 Arizona Commercial Signs is a full-service sign company providing expert sign designers, builders, fabricators, and installers serving the Phoenix Metro Area, Gilbert, Mesa, Scottsdale, Chandler and more in the Valley of the Sun! Are you searching for Custom Neon Signs or Neon Sign Repair anywhere in the Phoenix Valley Area? If so, Arizona Commercial Signs can help!